We’d love to see you at one of our events. Whether you prefer chatting about civic tech over a couple of pints, or listening to experts talk about how best to present data online, there really is something for everyone. 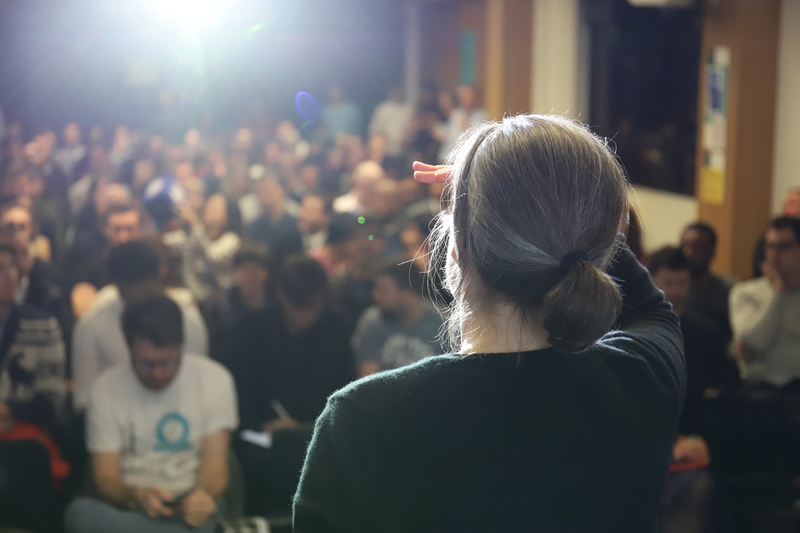 As well as organising our own events, we’re frequently to be found at meet-ups and conferences around the world, spreading the mySociety word and hob-nobbing with…well, anyone who’ll hang out with us, basically. TICTeC is an annual event, always held in an accessible European city and in the Spring: details of the most recent or upcoming TICTeC can always be found here. Occasionally there are spin-off TICTeCs such as TICTeC Asia and TICTeC Local. Keep an eye on the TICTeC mailing list to be informed when these happen. The mySociety Events Calendar lists everywhere you’ll be able to find us, whether that’s one of our own events, or someone else’s. You can add this calendar to your own Google Calendar, if you wish: click the small Google icon to the bottom right of the calendar page. See what’s coming up on our Eventbrite page.